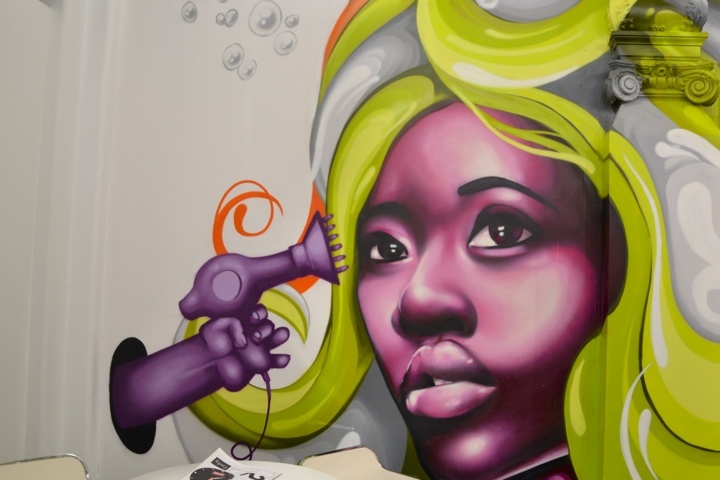 The highlight of the public art walking tour with Past Experiences this weekend was definitely Motions Salon in the Johannesburg CBD. 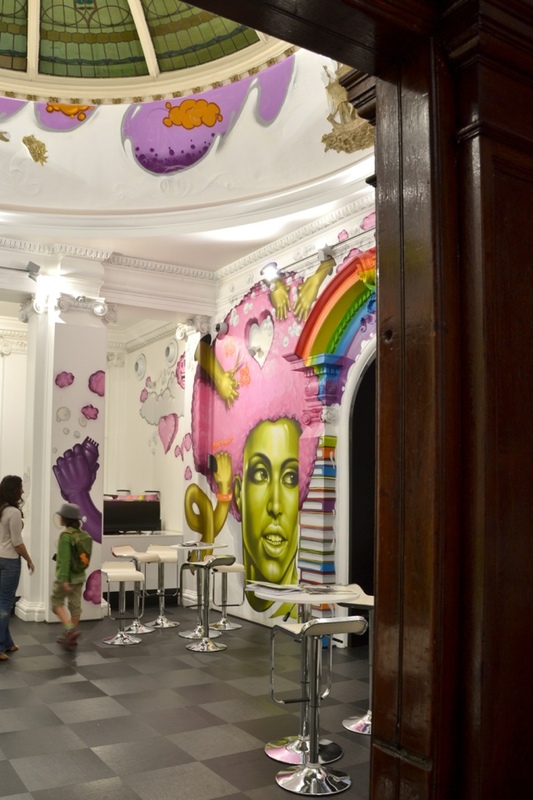 This hair salon and academy is located in one of the old buildings in town – but they have all this amazing graffiti inside – which creates this striking juxtaposition of old and new. The salon was kind enough to allow all 40 of us inside but it was a nightmare for taking photos. Motions is a specialist range of hair care products for African women. 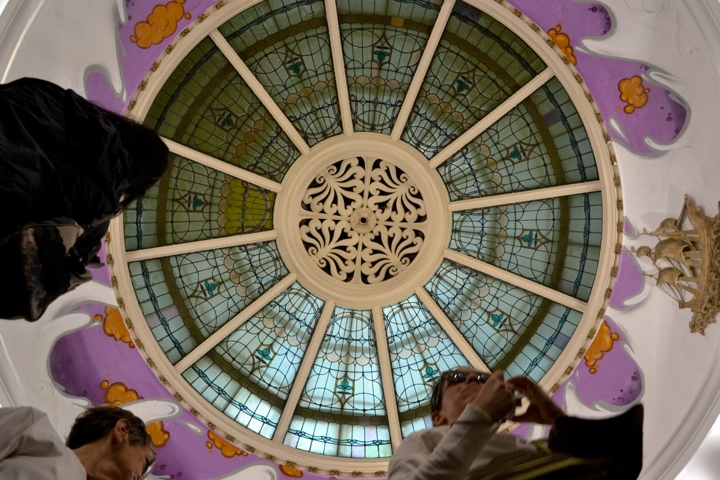 The training academy was launched by Unilever last year and courses began in January this year. The press release states that they hope to train around 5000 stylists each year. Sazi has promised she will get her hair done there next time so I will be there with my camera on hand to document it – of course. Entrada siguiente What’s your cup of tea? i need to know more about short term course. How much it cost. registration. 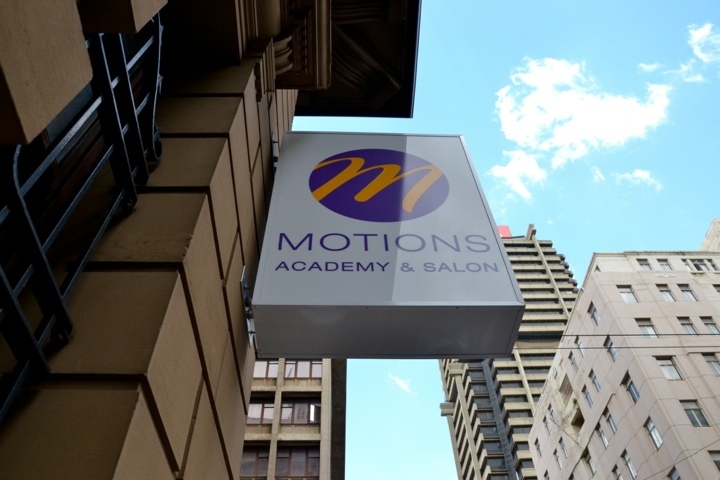 I want to train @ Motions academy bcoz i want 2 open a salon and i want 2 b the best hairdresser ever,so can u plz tell me how much will the training cost and how long wil it take? Hi Nomfundiso, I don’t work for the salon and I have no affiliation with them whatsoever. I only went there once to take photos. I am really sorry I can’t help.